To create the cheese mixture, combine cottage cheese, ricotta, egg, parsley, and oregano. Grease large aluminum pan. Do not use glass as it can shatter. Layer noodles, sausage, cheese mixture, mozzarella cheese, and sauce, repeat until pan is full. Cover with aluminum foil. Heat smoker to 225-250 degrees. 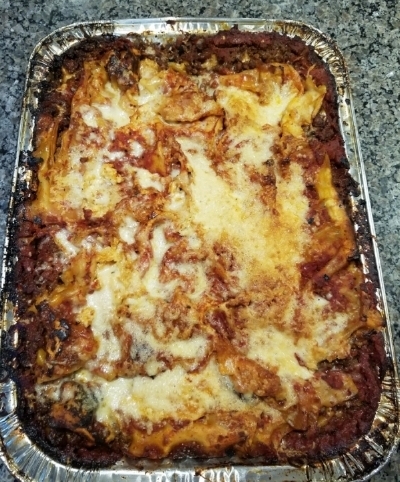 Using a light smoke, cook lasagna 30-40 minutes or until lasagna starts to bubble.